Now after listening to all the evidence brought before me today, I find the following 77 minute movie made in 1948, guilty, as charged. For its penance I will send it back in time to be Directed by: W. Lee Wilder; whilst Starring: Conrad Nagel, Fritz Kortner, with Reinhold Schünzel. Case dismissed. According to those numerous testimonies presented by the defense, earlier in the day, my client, Joseph Schwartz (Fritz Kortner), is nothing more than a cold blooded murderer who killed a poor defenseless girl in his own family farmhouse. But let's face it, your honor -- esteemed members of the jury -- where's the evidence to corroborate this claim? No mutilated body has been discovered yet. My client has no clear motives for wanting to commit this crime! Plus on top of that, let's not forget that the unscrupulous property developer, Baron Arady (Reinhold Schünzel), would like to see Joseph vacate his land for reasons of his own. So please good people of the court, I beseech you to look favorably upon the accused. He's a nice man. He's a decent man. And despite whatever his son Joseph once claimed, I'm nigh on positive that's why what next transpires all goes 'EEEEEKKKKK! 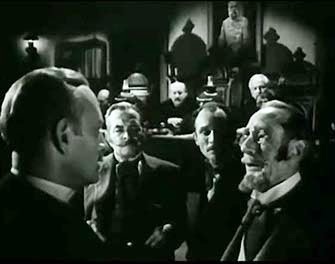 ', when a bailiff suddenly screams at me, 'I beg your pardon, Karl Nemesch (Conrad Nagel). But a couple of local boys have just found a dead body floating in the swamp'. As a mother is mentally abused - two doctors get very confused - a prosecutor shows his real face - and at the end of the day, don't worry folks, a legal ace is on the case. If you ever want to watch an amazing black and white court-room drama chock full of suspense, intrigue, plus downtrodden Hungarian women who wear those tatty looking prayer shawls, then I would highly encourage you to clap your eyes on 'The Vicious Circle'. Well, from my perspective, dear reader, this is one of those frustrating films that'll keep you hooked like a fish because of the manner in which it was told. It begins with a nice little introductory sequence where you see some poor schmuck dying in his bed. It then leads into another slightly longer sequence where the schmuck's friend -- who will pop-up from time to time -- explain to those around him the schmuck's own origins. And finally -- bang -- we're presented with the main brunt of the tale in a much longer flash-back court-room sequence. A sequence in which an esteemed defender of the peace outsmarts, out-manoeuvres, and basically out-thinks everyone around him. Granted, those who are around him don't seem very bright to begin with. And apart from that evil looking Baron -- plus that weasel-faced prosecutor -- by in large most of the supporting cast appear as if they've stepped off of boat arriving from Kazakhstan. In a good way of course! Because this is a period movie set within a period movie. Now something else about this film I want to mention is how Conrad Nagel -- who plays the esteemed defender in question -- somehow manages to present himself as if he were some sort of patriarchal figure. Honestly, folks. Not since watching Gregory Peck in 'To Kill a Mockingbird' have I applauded a lawyer's performance so much! It was as though Conrad made me trust him by what he said, how he said it, as well as the way he held himself as well. Also, despite how some of the supporting players came across, more or less most of them really supported this story-line in both plot and pathos. In some cases I'd go so far as to say they actually added some form of believability to these proceedings. A believability -- I might add -- that was there in 'story terms' from the get go. Anyway. By now I'm sure you know what I felt about this great-great movie. So how about you now sit back, relax, and check out the following filmic-facts. (1) 'W. 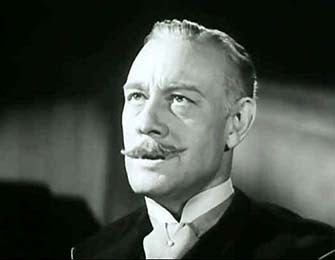 Lee Wilder Productions' first screened this drama in New York, New York, on the exact same day the American cartoonist, Garry Trudeau, was born. It was on the 21st of July, 1948. 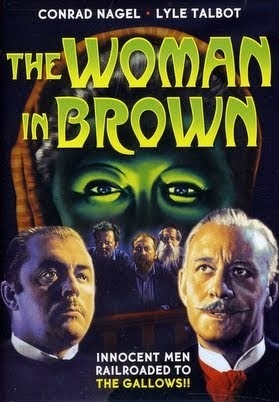 (2) Even though this project was originally entitled 'Shadows of Fire', during pre-production it was given the name 'The Circle', and for television it was re-titled, 'The Woman in Brown'. (3) This film was loosely based on a play devised by Heinz Herald and Geza Herczeg, called, 'The Burning Bush'. (4) Wilhelm Lee Wilder, who directed and produced this picture, is also the brother of the famous film director, Billy Wilder, plus the father of the not-so-famous writer, Myles Wilder. (5) From 1932 to 1933 the nice chap who played Karl in this flick, Conrad Nagel, became 'President of the Academy of Motion Picture Arts and Sciences' Association. (6) One of the writers who adapted this adventure for the silver screen, Guy Endore, became a blacklisted Oscar-nominated screenwriter during the HUAC trials. (7) If you look very closely at those courtroom scenes you might be able to spot the character actor, Frank Cady, who starred in such TV comedies as 'The Beverly Hillbillies', 'Petticoat Junction', and 'Green Acres'. 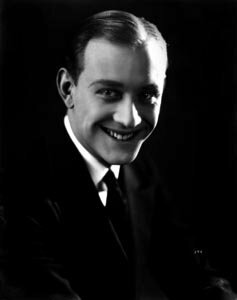 (8) After this escapade thumped its final gavel, Conrad Nagel starred in an episode of 'Robert Montgomery Presents'; Fritz Kortner starred in the drama, 'Der Ruf'; and Reinhold Schünzel starred in the TV series, 'Actors Studio'. Overall I'd say 'The Vicious Circle' was one hell of a great film to sit down and watch. The story was a suspenseful one by nature. The actors put on one hell of a show, despite some of them looking like beaten-up refugees. And as push comes to shove, what's not to like about a movie showing some justice for an innocent man?